Woodworking is something I do for fun. We always had a basic shop at home as I was growing up and I took shop class at school, back in the good old days when it was offered. It was at school I had a chance to use a wood lathe and fell in love. 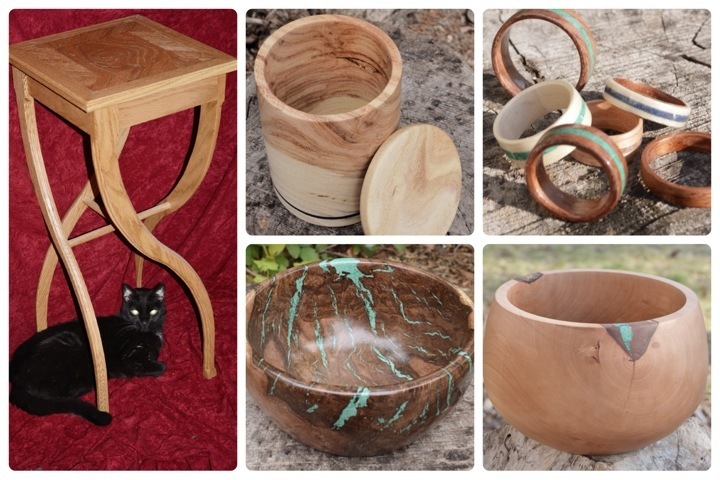 I have made many bowls for folks who have lost treasured trees from their yards. 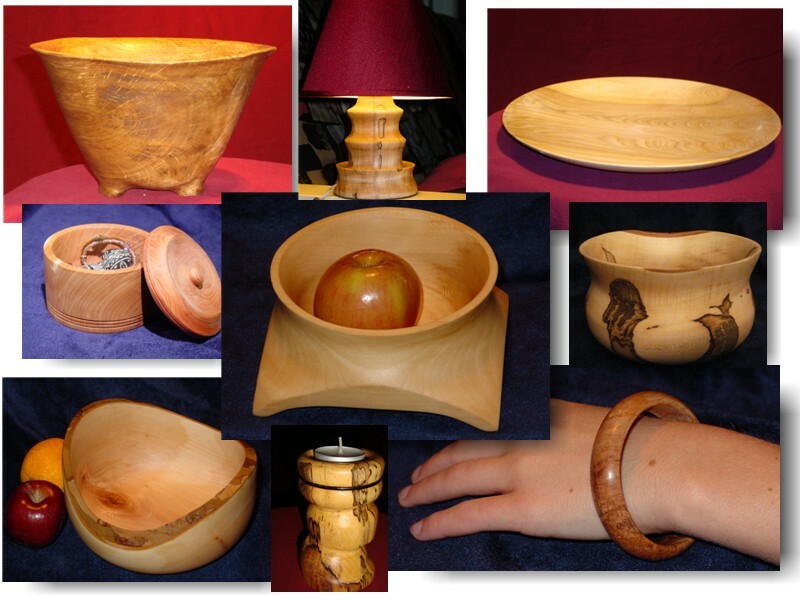 A wood bowl can preserve the soul of a tree for years to come, and make a special gift for yourself or loved ones. Ask me for details and information on instructions for your tree service on how to save certain parts of your tree. If you have something in mind and don't see it here, let me know, I am always open to suggestions. Part of the fun for me is acquiring the wood I use for my creations. I would never destroy a living tree just to get a piece of wood I want. I'll head out after storms with my trusty chainsaw to see what has fallen. If I see a tree service felling a tree that looks interesting, I'll stop and ask for a few pieces. Many of my friends are on the lookout for me and if it's one of their trees, there is probably a free bowl in it for them. My neighbors are used to the sound of my chainsaw, and the pile of sawdust and wood chips after I cut up my latest find.